I observed the hand washing practices of the people of Gadchiroli. From a small survey in randomly selected 64 families of village Dhundeshivani, I observed only 6 families were using soaps or detergents for hand-washing after coming from toilet. The practice of hand-washing before eating was common but for that people were using little amount water to rinse hands as a ritual. After careful observations we understood that this hand-washing ritual only wets hands and doesn’t clean them effectively. 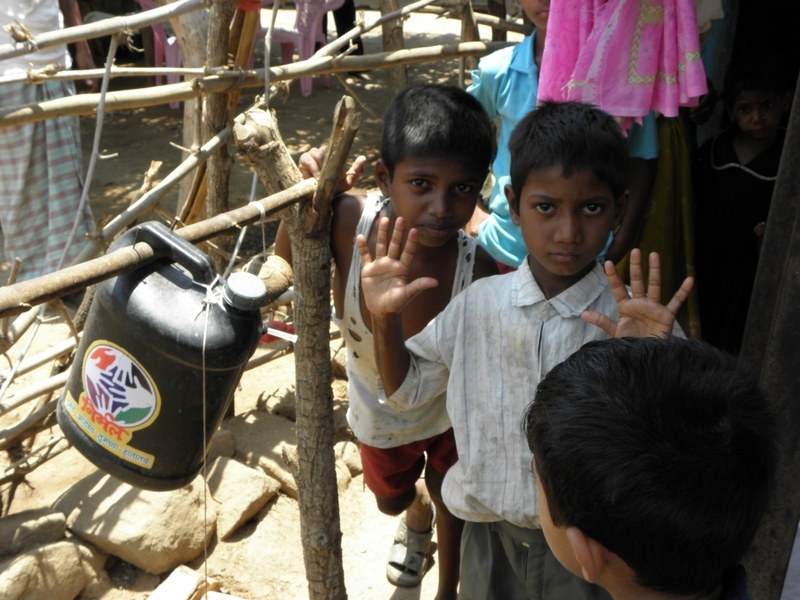 We realized the lack of availability or running water, soap and awareness about the need of hand-washing practice were the main issues to be tackled while promoting the hand-washing behavior. 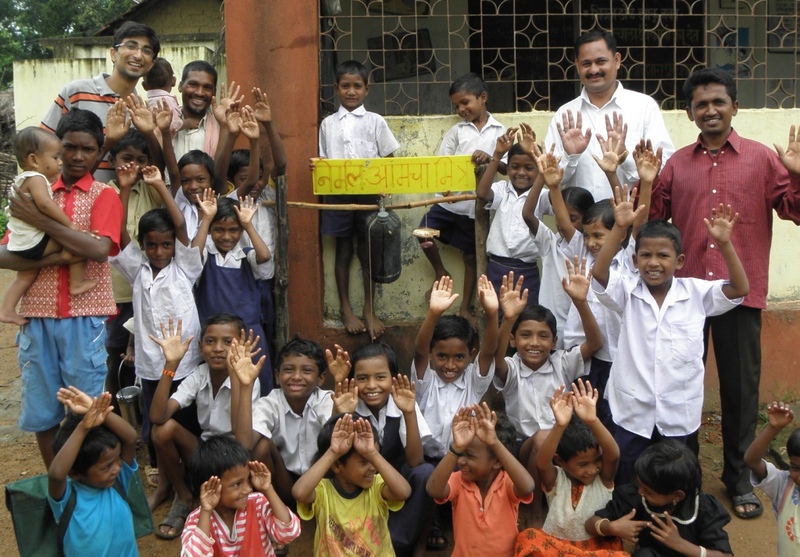 Nirmal hand-washing program emerged to deal with all these issues. For provision of running water and soap I wanted a device which should be low-cost, effective device that could be reproduced from inexpensive, easily acquired materials, and require minimal maintenance and education for use. I was searching for such device which would fulfill all these criteria. Finally I adopted a design of Dr. Jim Watt’s “Tippy-Tap.” http://www.tippytap.org/ After series of modifications in the design of Tippy-Tap to better fit local needs, Nirmal was born. The total construction cost of the device is 35 Rupees ($ 0.64) and requires only 60-70 millilitres (1/4 cup) of water per wash. 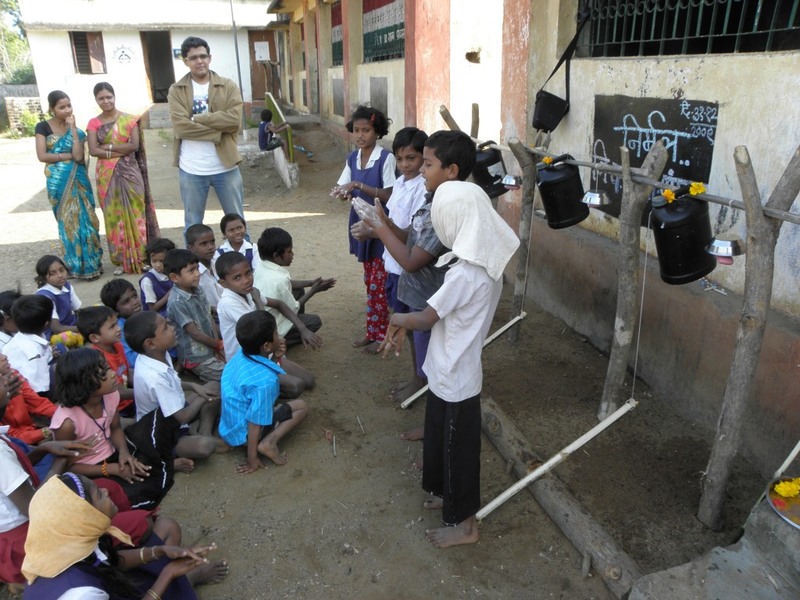 When I Installed the Nirmal Hand-washing devices outside SEARCH’s canteen and in a primary school, I observed children washing their hands with various ways. 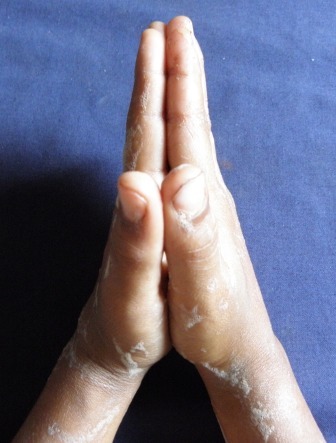 Some were just wetting their hands partially and some were applying soap only on the palms and not on the back of the hands. To solve this issue I wanted an uniform protocol to be followed for hand-washing. 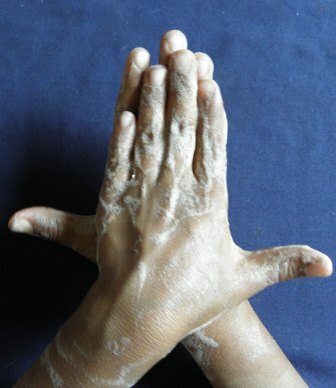 WHO recommended hand-washing steps were the perfect way to clean hands effectively. 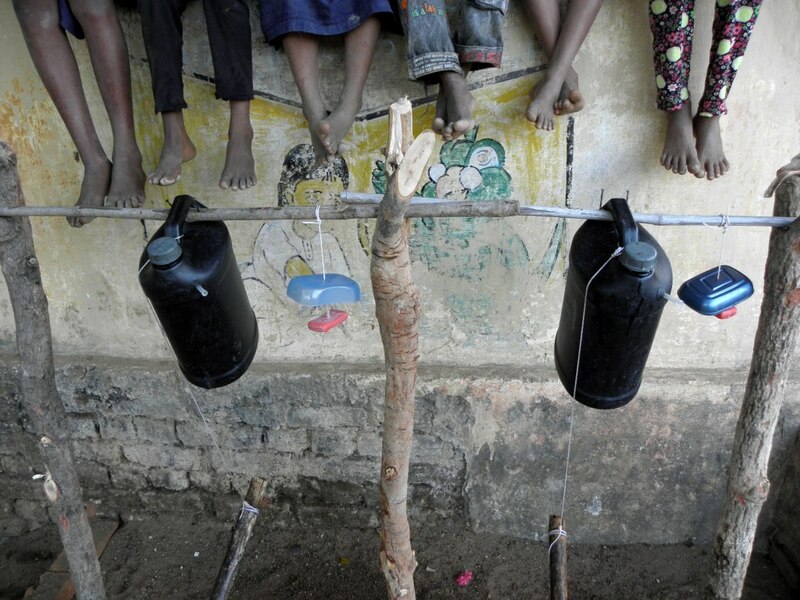 Though these steps were few in number, children used to forget few steps while washing hands. to deal with this issue, I created a song with culturally relevant mnemonics so as to appeal to and memorized by the children while using the Nirmal. I tried about 40 different names for these steps and finally selected 9 names which had catchy pronunciations which would stimulate laughter in children while washing their hands. The steps are mentioned in this Video. 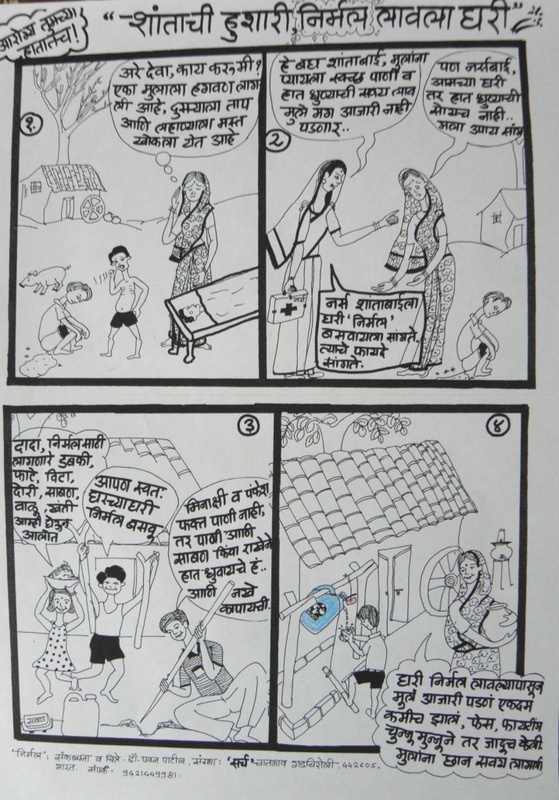 For promoting the hand-washing habit using Nirmal I used various behavior change strategies. Few proved very helpful in promoting and sustaining program where as some could not make a long term impact on children and community members but served the temporary purpose. 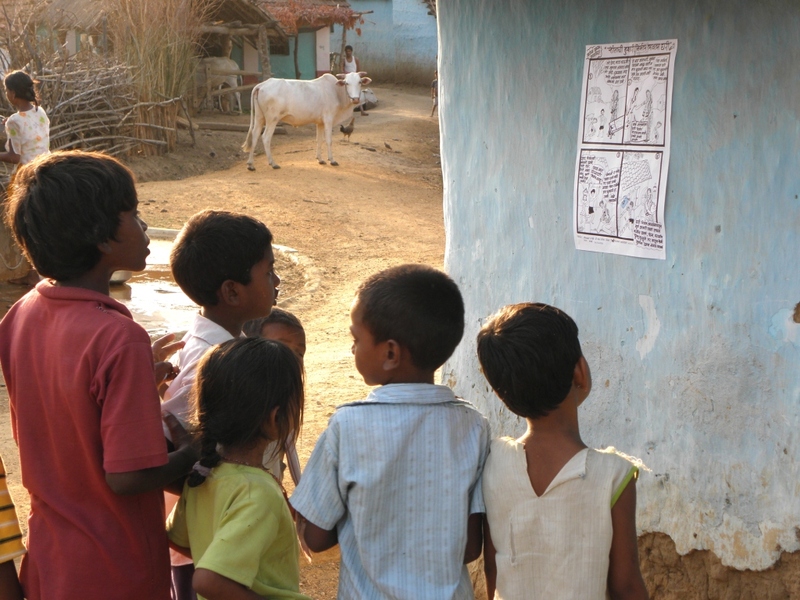 Child to child and Child to Parents approach: To become popular in children, Nirmal hand washing program was designed to be promoted by child to child and child to parents approach. 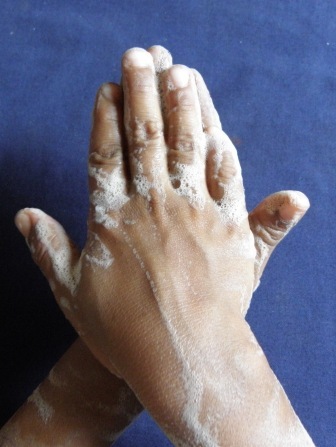 Doing this we could create sense of ownership in children about Nirmal hand-washing activity. Also we could avoid unnecessary delays in the promotion of the program by avoiding phase of training of parents and their eduction for Nirmal Handwashing program. 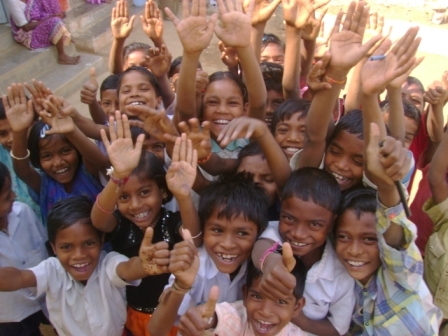 Summer camp: in May 2009, a 30 day summer camp was conducted in the jungle near Kudakwahi village. To understand daily lives of the children of Gadchiroli and to understand their health related behaviors and beliefs, this camp proved helpful. We used various art forms like songs, dances, painting, origami and local games to stimulate the innate creativity in these children. Through these activities eventually we shifted our focus from ‘just fun’ to ‘health education.’ Because of sports and various entertaining events some adolescents also joined the camp. They eventually became our Nirmal Health Messengers (Nirmaldoots). Through this camp I could gain a deeper understanding of health behavior of these children and knacks to teach new behavior. Saving: I observed that these children get some pocket-money which they use for eating tobacco and tobacco product. Children as old as 3 years chew tobacco being completely unaware of its ill effects on health. I promoted saving this pocket-money to buy Nirmal. through that we could decrease tobacco consumption amongst these children and stimulate sense of ownership towards Nirmal. Spiritual and cultural approach: We made a protocol of worshiping Nirmal soon after installing it at houses and schools. At the same time we used to train all family members for the use of Nirmal and hand washing steps. I used every cultural gathering and celebration of villagers to demonstrate the construction and use of Nirmal along with Hygiene-health education. 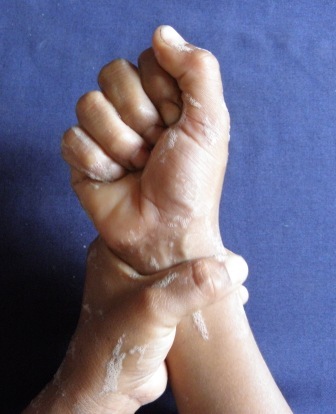 Praise and Disgust: I taught a new game to all school children in which every child with clean hand and clipped nails would receive praise( thumbs UP) and every child with dirty hand and long, mud-filled nails would receive a boo (disgust – Thumbs DOWN) from other children. The interesting presentation of the simple game made it sticky and through this children started getting re-enforcement messages from each other about hygiene and Nirmal. I take pride to have people like you of our country to have the extent of cognition for the reformatory India as a whole. Keep up the work.